This cut is from the shoulder. This is a single muscle meat that is very tender and flavorful. 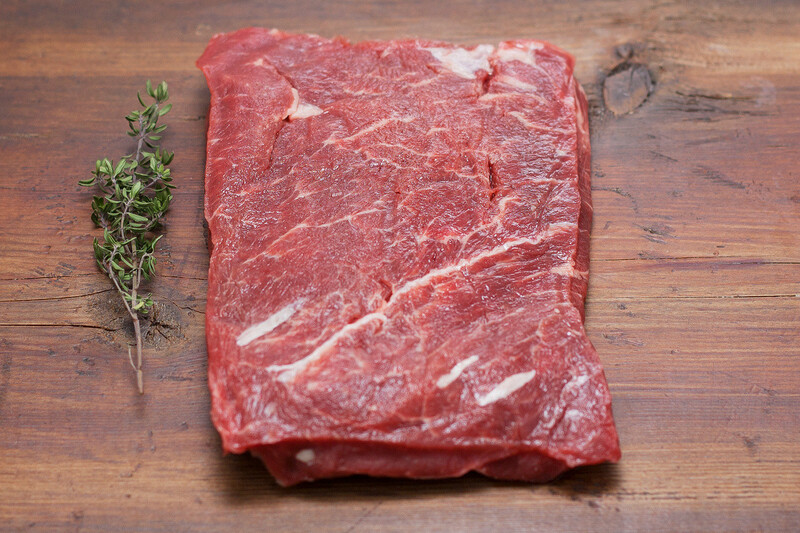 It expands upon cooking, going from a very flat piece of meat to a plump steak. Cook LOW AND SLOW.